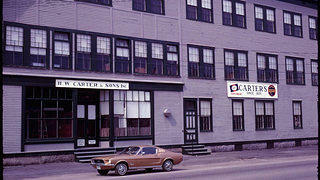 A historical photo of the building. 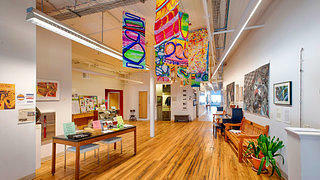 The building is a large building with plenty of natural light, so it is perfect for the visual arts. But it needed a lot of help. Number one was that we needed to buy the building, which we were able to do in 2003. We knew we needed to make considerable renovations. It was a post-and-beam building and there were areas where you could actually see through the wall to the outside, so it was pretty cold in the wintertime. So I contacted a former board member, Stuart White, an architect. He got very excited about the potential here. He was the one who suggested that this would be a perfect opportunity for us to think about seeking LEED certification. 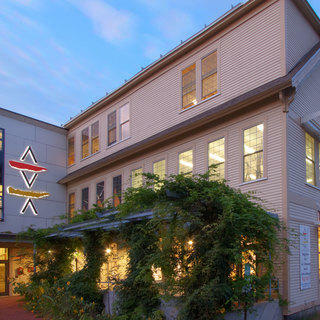 Why did you decide to go ahead with a green building and getting LEED Gold-certified? We realized that it does cost money, but you do get it back afterwards. Our payback would be the benefit that we would see in improved quality of life inside the building and a considerable reduction in energy consumption. So we decided that we would do that. And it was unbelievably successful. Our renovation was completed in Fall 2007. It’s a big building, 41,500 square feet, three stories. After we had gone though all the various initiatives that made us earn LEED Gold certification, this building became one of the most energy-efficient buildings in New Hampshire. And the cost of running the building was so significantly reduced that for the first three years, we did not increase the rent on the artists’ studios at all. Do you feel that reusing an old building was the right decision? Many people said, "Why are you not just taking the building down and building a new building?" First of all, taking this building down would have taken down a very, very important part of history: a Lebanon landmark. The factory here provided work for hundreds of people. It also turned out that it actually was less expensive for us to renovate than to tear down and build new. We have kept the historic ambience of the old building, and that is irreplaceable. It could never have been recreated. Everywhere we could, we kept the old. It’s really a very successful combination of old and new. 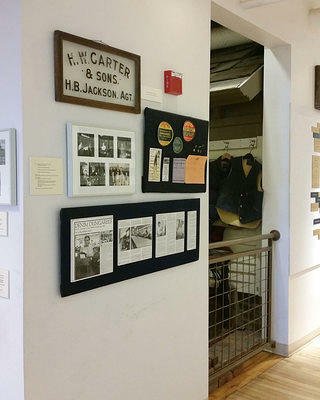 Artifacts from the building’s past. 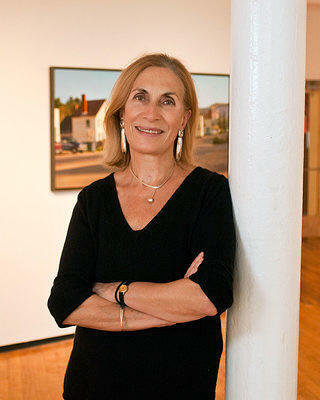 Bente Torjusen, executive director of AVA Gallery and Art Center. Did you keep the original floors? Oh, yes. The floors are incredible! They are maple hardwood and have such character. They creak, they are uneven. When you come into the building and see down the long hallway, it looks like it’s rippling. We have very few straight lines in the building. But that’s okay, it gives it character. The seamstresses would sew the clothing on the second floor. We now have big teaching studios there, and we can still find needles embedded in between the cracks of the floorboards. There are so many, many, finds of the past in the building.